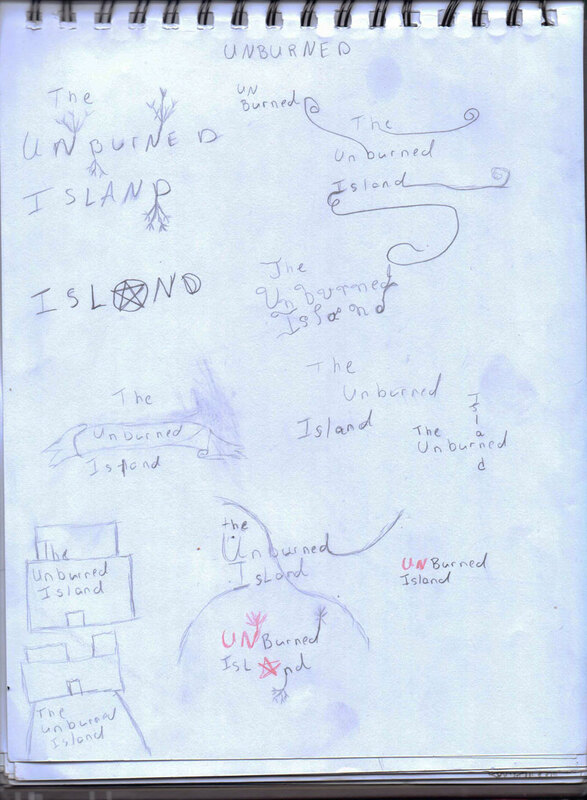 Designing the cover for The Unburned Island has been a ride. It's taking me over a month. It's one of the hardest designs I've worked on. I'm close to being finished but I'm having trouble getting the right font color. I started this process with some rough sketches to get an idea of what I wanted to design. The first time I tried this. 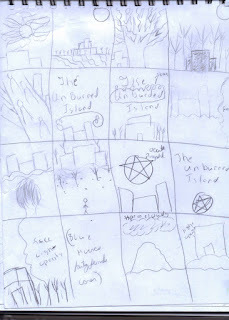 I used to draw when I was a kid but I stopped for some reason. 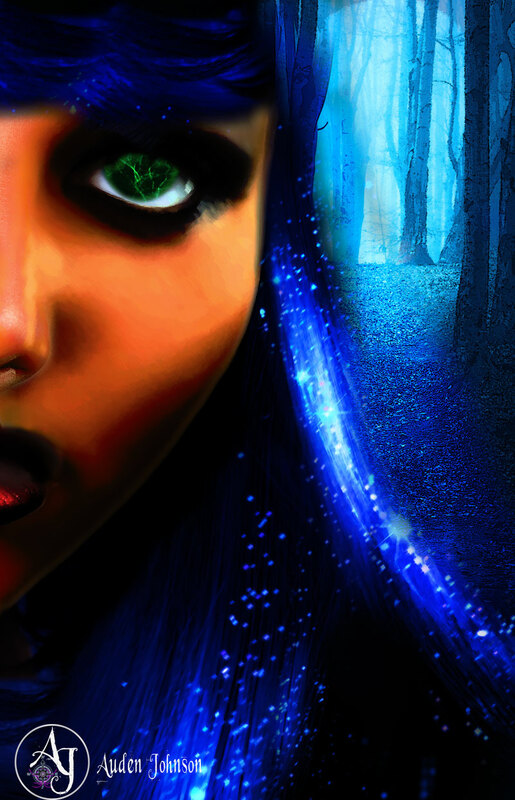 While sketching, I researched paranormal fantasy covers to get some inspiration and to check out trends in images, type and color. 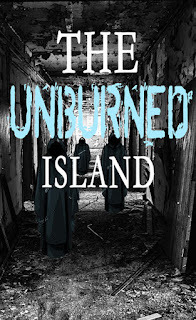 At first, I was leaning towards a cover with a person on it because it matches other paranormal books. The problem: this is going to be a series. I had to think about how I would recreate the design. If the first cover in a series has a person on it, that same model should be on the cover of every book in the series, usually in different poses or colors. I thought about using this design, which I actually created as premade book cover to sell. If I used this cover, I'd have to take is off the market. Had to think about it. Also, I couldn't find stock images of this model in different poses. I could use the same image but then I run the risk of the series covers all looking too similar. I searched for other images but couldn't find any that I liked. In any case, my funds are dry so can't afford to buy images. In the end, I decided to go with a typography heavy design. I always wanted to create something like that anyway. Many sites have some nice free royalty free fonts. This is a design on a small budget, sort of. Adobe Creative Suite isn't cheap. This design took the longest but, compared to my other covers, this one was cheaper. Since I want to have some fun with type, it was time for more sketching. I found this kinda relaxing. I did this to brainstorm how I could arrange the fonts. I created a Pinterest board for book covers with nice fonts to get some ideas. In the end, I decided to go with a simple arrangement. Combining one of my initial ideas with some dramatic typography. Too much horror and not enough fantasy. 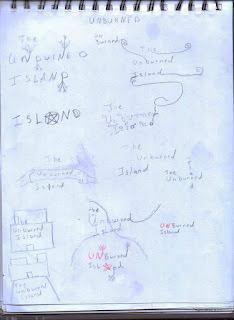 The Unburned Island is set in a fantasy world. 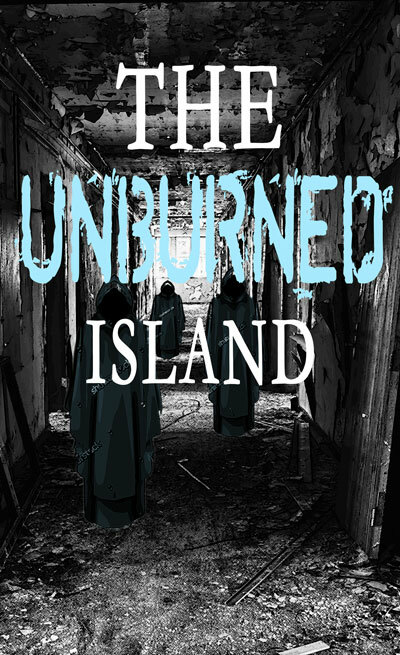 I don't want people looking at the cover and assuming it's a straight horror story. The story doesn't quite fit into this category, though. It has mythical beasties from modern folklore but I didn't rely on the lore. I made up my own. I don't want people coming into my story thinking they'll read about vampires, witches and werewolves. 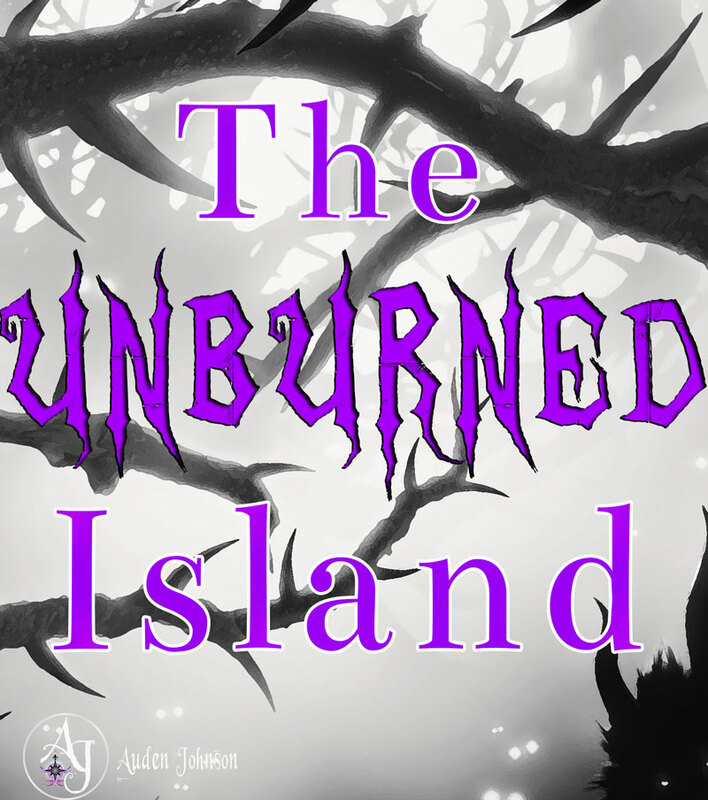 The Unburned Island has non-shifter magic users but they don't call themselves wizards or witches. #Paranormal gets more engagement on Instagram and Twitter. 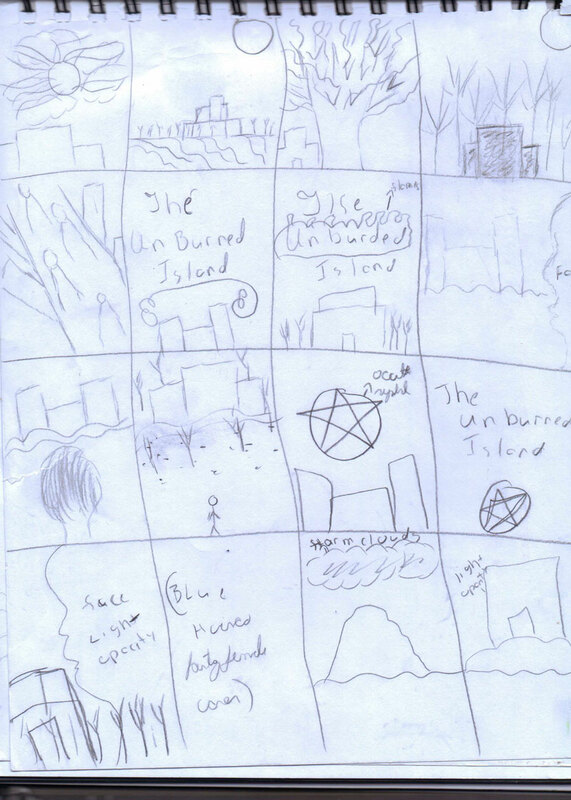 Dark fantasy is more buzzwordy than paranormal fantasy- it was easier to research the former. I'll use both. The cover trends are similar anyway. Genre is important because it helps you determine how you'd market/position your books. I'm ready to be done with this cover. Maybe I need to take a short break from it to get some perspective. Tune in next week to see the final version of this cover. 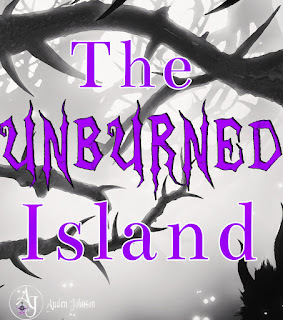 If you're on Pinterest, check out The Unburned Island board to visit the world and the characters from my story.